Good news, fans of mayhem! Viking Squad, a sweet-looking game I covered this year at the Seattle Indies Expo, or SIX, has just launched their official announcement trailer! 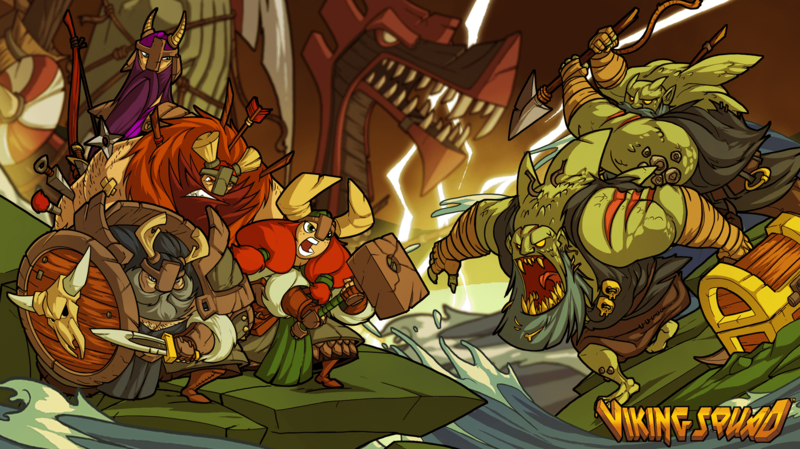 The game features lane-based combat, where you crush your foes using many Viking warriors with unique movesets. I had a blast playing it at SIX, and now we know it is coming to PC, Mac and PS4 sometime in 2015. I can’t recommend this one highly enough. If you like old-school, beautiful games, this is one to watch. If you don’t believe me, check out the trailer yourself and come to your own opinion. I’m especially fond of the possibly demonic undead Viking Jarl. Good stuff, gaming fans.